Just wanted to let you all know that I've updated the contest info and have changed the deadline date, extending it by 2 days. It's just really crazy around here and with adding the additional info. I wanted to give everyone those extra 2 days JUST in case there's someone out there who would like to enter. Colors - want one just in your favorite color or colors? You can pick one color and I'll add in some additional shades of the color, or you can pick 3 colors. Lucky Charm - all different lucky charms and some greens added in. Vampire - need I say more? Halloween - various things that have to do with Halloween will be added. Christmas - Christmas colors, with some trees, etc. Girlie - totally girlie from colors, etc. And I think that's it. If I've listed something here you'd like to ask me about combining, please let me know via email and I'll see what I can do. Any other questions please email me as well. Good Luck to all who have entered and if you haven't, hurry there's only 2 days left, 11/20/09. 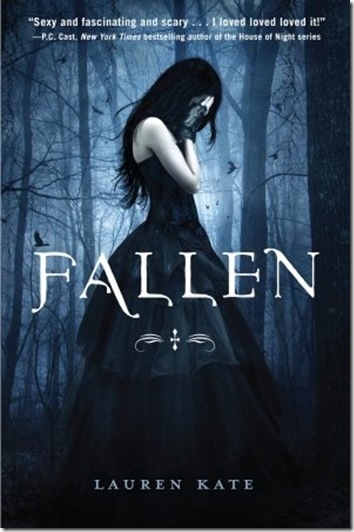 Win 1 of 5 copies of Fallen By: Lauren Kate!! Kari over at A Good Addiction is holding a contest to win 1 of 5 copies of Fallen By Lauren Kate!!! It's open to all and ends on 12/6/09 right before the book comes out. 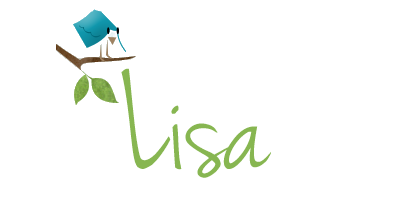 I know I can't wait to get my hands on this book and read it as I'm sure many others are, so head on over to her blog and enter now... Please be sure to mention that I referred you and we BOTH get 5 extra entries!!! KATE from the Neverending Shelf! The book will be put in the mail to you tomorrow! Thanks to all who entered! And be sure to keep an eye out on her blog, she'll be holding the same contest soon! 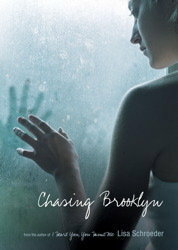 I'm the 4th stop in this amazing contest/tour for Chasing Brooklyn by Lisa Schroeder. SO - you have 24 hours!!! This contest will close tomorrow night and I'll need to hear back from the winner RIGHT away for your address, so I can be sure to get this out in the mail to you by TUESDAY! Just leave a comment with a email address or your blog URL so I can find you tomorrow night at this time. I will need a way to contact you because once I draw a winner, this will go quick. Good Luck and I can't wait to send this on to the next person to read! 8 More followers until I hit 100! 8.... 6 more followers until I hit 100!!! Well, it's been a bit crazy around here with my dad's knee replacement and all, but I haven't gotten about anyone! I thought I'd make a quick post (I'm stalking the mail man right now lol) and mention what I'll be doing once I hit 100 followers. I'll add in 2 other winners who will get a handmade one of a kind bookmark AND I'll add in another book or 2 to choose from for the winners who, well win books lol. I'm working on a list of the options each of the winners will get to choose from when it comes to their bookmark designs. So, be on the look out for that. Sorry this is so short, but I'm keeping the house together while my dad's in the hospital and I want to try to get in a few hours of reading tonight... if time doesn't get away from me. I hope everyone is enjoying some GREAT books! Thanks to all my followers old and new. There's a HUGE contest over at A BookLover's Diary!! A few winners and some great books to choose from! Contest ends on Nov. 30, 2009 so hurry over and enter now!! Hey everyone! I just updated the contest post with additional info, another winner and 6 more books to choose from! If I hit 100 followers before the contest ends, I'll add in another book or two, maybe even three to choose from and another winner! Click here to take you to the contest page. Contest ends Nov. 18, 2009 and IF I'm pretty close to the 100 mark, I might extend the contest by just a couple days. If anyone has any questions please let me know. Oh, and I've seen that a few blogs have started using forms when they are holding contests. This is to help with privacy and such, so I'll be looking into that as well for future contests here. So, enter, enter, ENTER now! The more the merrier! Good Luck to all!!! That's what I picked up this week. What did you guys get?? We'll see how things go over the next week or so. Check back over the weekend for addtional info. Thanks to everyone, have a great weekend with much fun and amazing books! The Undercover Book Lover is having a contest to win a signed copy of the Map of the Known World! I'm excited to read this book. The cover just looks amazing and the plot sounds like a must read. Head on over to enter before it's to late. The contest ends on Nov. 14, 2009. Synopsis: Nothing has been the same since Caleb Becker left a party drunk, got behind the wheel, and hit Maggie Armstrong. Even after months of painful physical therapy, Maggie walks with a limp. Her social life is nil and a scholarship to study abroad-her chance to escape everyone and their pitystares-has been canceled. After a year in juvenile jail, Caleb's free . . . if freedom means endless nagging from a transition coach and the prying eyes of the entire town. Coming home should feel good, but his family and ex-girlfriend seem like strangers. 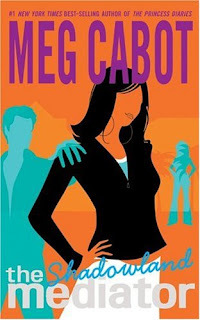 Caleb and Maggie are outsiders, pigeon-holed as "criminal" and "freak." Then the truth emerges about what really happened the night of the accident and, once again, everything changes. It's a bleak and torjourney for Caleb and Maggie, yet they end up finding comfort and strength from a surprising source: each other. Review: 5 Stars - LOVED this book. Simone Elkeles has written another great story. From page one - Leaving Paradise kept my full attention, with alternating character chapter points of view, I was able to get a better idea as to who Maggie and Caleb both are and how they each remembered the accident that forever changed both their lives, and the ones around them. To read how they both struggled through things, trying to get back to whatever normal they could was sometimes hard to read. They had each changed so much that what was, could really never be again. Maggie wants nothing to do with Caleb when he returns home after being in jail for a year for the accident, however they find that to heal and become the people they are suppose to be they really need each other. The twists and turns each face to forgive and heal really shine throughout the story. It made both Maggie and Caleb feel more real from beginning to end. The ending had my heartbreaking on many different levels. This was the first book in a long while that I was surprised at the ending. It was hard to read, but you felt it was the right way to end things... for now. Simone Elkeles writes a great story about a hard subject, one that many can relate to on various levels. The forgiveness part of the story made me hope that if faced with something this horrible, caused by someone else that I'd be as strong as each of these characters and be able to deal with things as well as they did. I'm happy to say that I won't be forgetting about this anytime soon and am excited to read the next installment in the series out fall 2010. Well, I've tired and this camera just doesn't seem to want to work for me. UGH! At least you'll kind of get an idea what's up there. With all that's going on, there has been a box of books misplaced too. Which is crazy, but I just can't find it. Okay... here's the first picture, lets see how it looks. Just click on the pictures and they will open up larger so you can better see, well amost see most of what I have. Some that are series books are stacked on top or behind each other, so if you see part of a series there, and more then one book in a series you'll kind of get the idea of what's behind it or under it. I'm really enjoying both books I'm reading and I'm happy to say that I've been getting more time as I've just about finished putting everything back in this room, while trying to get the other ready for a re-do. UGH! Okay, off to finish a few things up so I can get some much needed reading time in. Have a link to show me your bookcase, please be sure to leave it. Also, I've added some little swag/gift items to who ever wins in the contest. I'm looking to add a couple books in over the weekend after a couple trips to book stores and such. Also.... I wanted to know, would anyone like other ways to earn more entries??? Just let me know! IMM is brought to us by Kristi at The Story Siren. I guess this is the second to the last in the series. I haven't read more then the first 3, but really enjoyed those, so I just kept picking up others as released. FYI: Just a quick note. The links I post on each of these, IMM's and in my reviews or anywhere around my blog, will always be a link to where I purchased the book from.... if at all possible that is. These links I DO NOT get paid for. If I can't find a link for where the book was purchased then I will always link back to amazon. I use them most for my online purchasing, so... yeah. I just didn't want anyone to think I was getting paid for any links here. :o) I'll be adding some additional info. 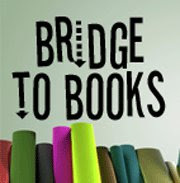 about this in the sidebar here - Bound By Books Pages. Thanks guys, and happy reading! Review: 3.5 Stars - A fun, light, easy paranormal read - this book is nice beginning in the Mediator Series. The main Character Suze is true to most teens - going her own way to deal with the ghosts she's trying to send to the "other side". She's head strong and knows just how she likes to do things, which maybe isn't always the right way. However, throughout the book it makes you question whether or not she'll be able to get the job done. With some mystery - ghost's and a head strong teen, I look forward to find out more and what's coming next for Suze, not to mention finding out more about Jessie and to see where his part of the story leads. If your looking for a light mysterious read with ghosts? Then this is the perfect series for you.